This machine is designed for filling engine oil. -Stainless steel frame construction to meet GMP requirement. -Each spiral pump is driven by an individual variable speed AC motor for high accuracy of liquid filling. -No change ports are required for different bottle sizes. -Mitsubishi PLC combined with LCD touch screen control panel. 20 job memory for easy recall. -Digital setting allows different filling volume adjustment easily. 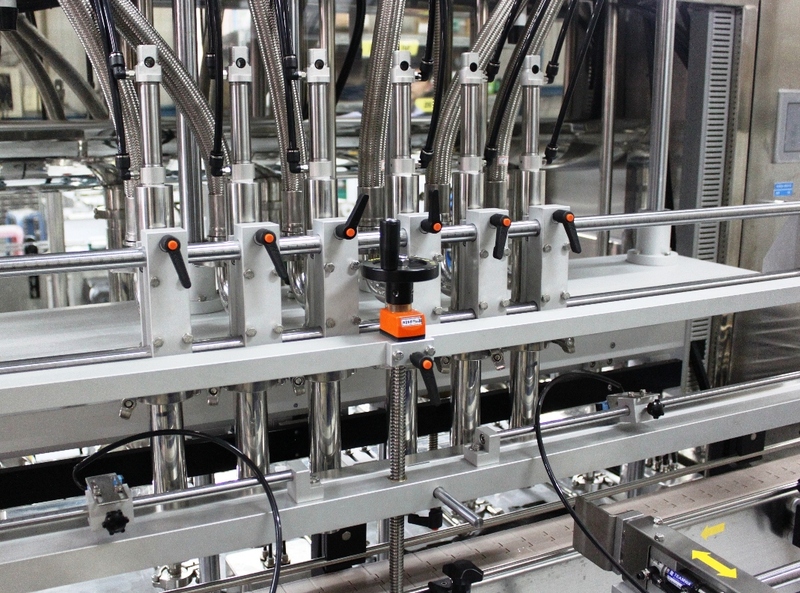 -Diving type filling system prevents spillage during filling process. -One air compressor with dryer is required to be prepared by user.